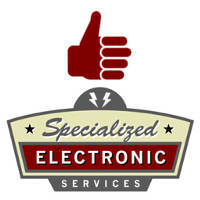 At Specialized Electronic Services, we are one of the largest principals Smith Power Systems of Dallas Texas has as a client. Smith Power Systems is the Rep firm we use to represent us to distributors and end users to help our business grow. Specialized Electronic Services has grown over 500% in the last 6 years due in part to the efforts of the rep agency Smith Power Systems. If you have a product or service to sell in the Industrial Electronics or Power Transmission world call Smith Power Systems today and grow your business like Specialized Electronics grew theirs. Smith Power Systems has many key distribution centers they call on to help sell your products and services, which in turn grows your business. If you have products you would like to have sold in industry Smith Power Systems can do it for you. Call and ask for Gregg Smith the owner at 1-972-690-1500.